Home Welcome to Pharma Marketing Surveys! Welcome to Pharma Marketing Surveys! From time to time, Pharma Marketing Network hosts surveys of subscribers and visitors to the website. These surveys give you an opportunity to offer your opinions and insights on important pharmaceutical marketing issues. After taking the survey, you can view a summary of the de-identified survey results. Surveys are conducted anonymously, meaning you do not have to supply your name or contact information. However, you may opt in to provide this information so that we may contact you for more details or to quote you in any article we may write summarizing the results of the survey. 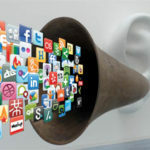 Social media listening is a hot topic these days. There is no doubt that collecting information from disease and product conversations on social media sites helps pharmaceutical companies develop more impactful messaging and marketing tactics. This survey is an attempt to understand how pharmaceutical companies and their agencies are using social media listening programs as a part of their marketing and communications programs. Pharma Marketing Buzzwords: Good, Bad, or Just Useless? There’s a lot of “buzz” about pharma marketing buzzwords these days. Several industry experts suggest that the overuse of many of these buzzwords contributes to the bad reputation of the drug industry by alienating patients and physicians. What do you think? Access the results of the following surveys. Some may still be open for participation. How Should Pharma Edit Wikipedia Drug Articles? Should Free Drug Samples Be Banned? Should Pharma Hire Online “Patient Opinion Leaders”? Should Pharma’s Use of #MedConf Hashtags Be Curbed? What Do You Think of FDA’s Recent Regulatory Actions? What’s the Best Way for Pharma to Support CME? What’s the Future of Direct-to-Consumer Advertising? What’s Your Opinion About Branded Patient Support via Twitter? What’s Your Social Media Implementation Plan? Which Future US Health Care Scenario is Best for Pharma? Who Should Be Pharma’s Social Media Voice? PR or Brand? Does generic drug competition stifle development of new drugs? Should Pharma Pay Individual Patients as Spokespeople for Their Products?